Most of us, at some point in our lives, are given a life altering challenge, be it health, abuse, or the loss of a loved one. The Gift is meant to symbolize the survival of the spirit, and the gift we are given when we realize our true worth. 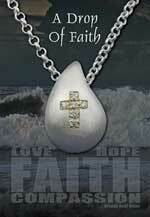 The inspiration for A Drop of Faith came from personal experiences with Cancer. Life is brief and each day should be celebrated. True Wealth is not monetary, but measured by the Love we give and receive. What is truly important are Family, Friends, and our Faith for these are what carry us through Life. In July of 2009, Helen was told by her doctors that she had terminal cancer, had only a few months to live and that she should put her affairs on order. It was her second cancer, unrelated to the first. She told her children that dying was something we all have to do. It would be hard on everyone, but that the family would do the best they could and go on. She shrugged off her bravery, stating that she was only "whistling in the dark". 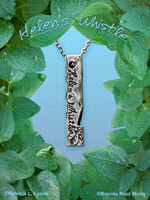 Such was the inspiration for Helen's Whistle. You see, none of us are truly alone. We are all connected and a part of each other. None of us ever really dies, we live on in the love and memories of those around us. 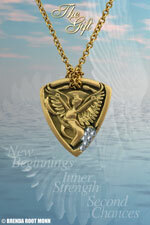 The tree design was chosen to symbolize the tree of life, the bird-a soul flying free. The whistle, well....... that is so no one ever feels they are going through this journey called "life" solo. You're never truly alone. Just Whistle. 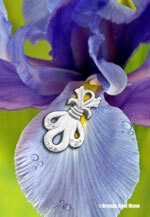 III- is an abstract bee design. The bee is the symbol of accomplishing the impossible. Aerodynamically, its body is too large for its wings and should not be able to fly. Although we now understand how it does (high rate of wing movement), the bee remains a symbol of accomplishing anything you put your mind to. Inspiration to create a design to raise awareness for Triple Negative Breast Cancer came from Beth, a young friend currently undergoing treatment for the disease. NEW! Open Edition, Petite size! 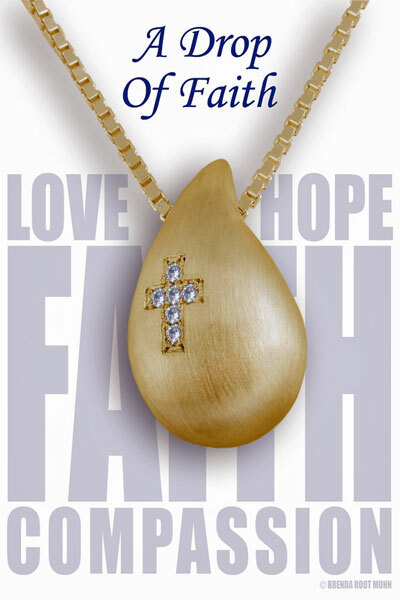 We are a small, women owned, jewelry boutique located in Historic Occoquan, 30 minutes south of Washington D.C.
Cancer has touched our lives in many ways. Founder / Namesake of our company Jerry Perdue was diagnosed with cancer in November of 2002 and passed away in January of 2003. 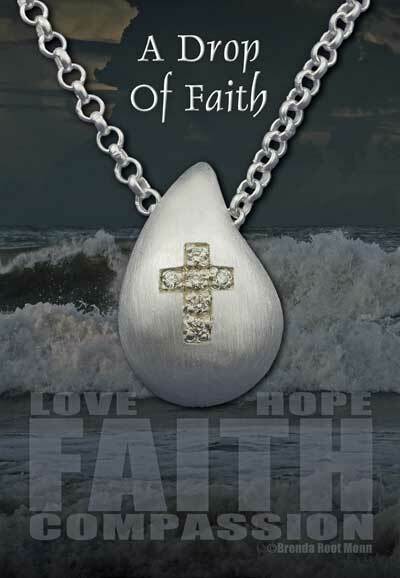 Diagnosed at 42 with triple negative breast cancer, treated with chemo & radiation, I am a jewelry designer / survivor! And I'm trying to help ensure that many more women survive this dreaded disease. 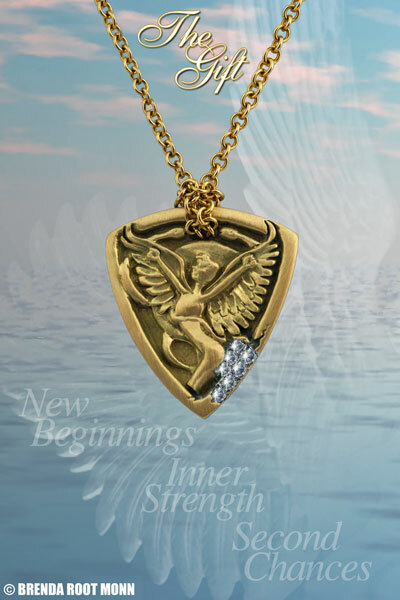 I have created several fine jewelry pendants that celebrate Life, Family, Friends, and Faith, Inner Strength, New Beginnings, and Second Chances. Sales of these items have enabled Jerry's Occoquan Jewelers to donate a portion of the proceeds of these pendants towards various cancer, abuse and charitable foundations, including but not limited to The Breast Cancer Research Foundation, Relay for Life, Police Unity Tour, Leukemia and Lymphoma Society Team in Training, Susan G. Komen for the Cure, A.C.T.S., Lake Ridge Lions Club, Louisia Habitat for Humanity and Northern Virginia Therapeutic Riding Program, Inc. I feel passionately that in many ways we have been called to action. In our own small way, we WILL fight until a cure is found. Please join us in our battle! Donate to the charity of your choice!